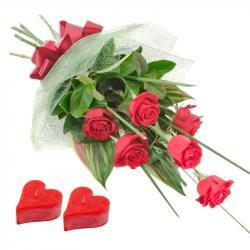 Product Consists : Valentine Greeting Card along with 2 Bars of Cadbury Dairy Milk Silk Chocolate (Weight : 60 Gms Each). 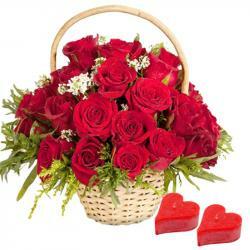 Celebrate the moment of years of togetherness and gift your someone with this special gift and thank her for the effortless love and care has given to you. 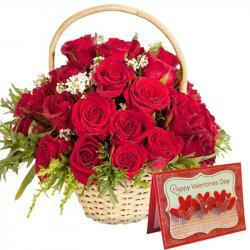 This gift combo has a lovely sweet Chocolate like Silk with a valentine greeting card. The best is tasting chocolate with its appeal lying in its smooth texture and riveting taste. It consists of the finest ground cocoa, along with a rich creamy texture along of the smooth chocolate drape. 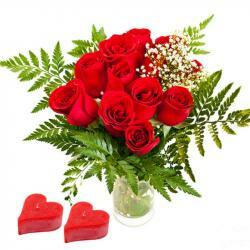 This Valentine Card will complete the gift for our special love one. 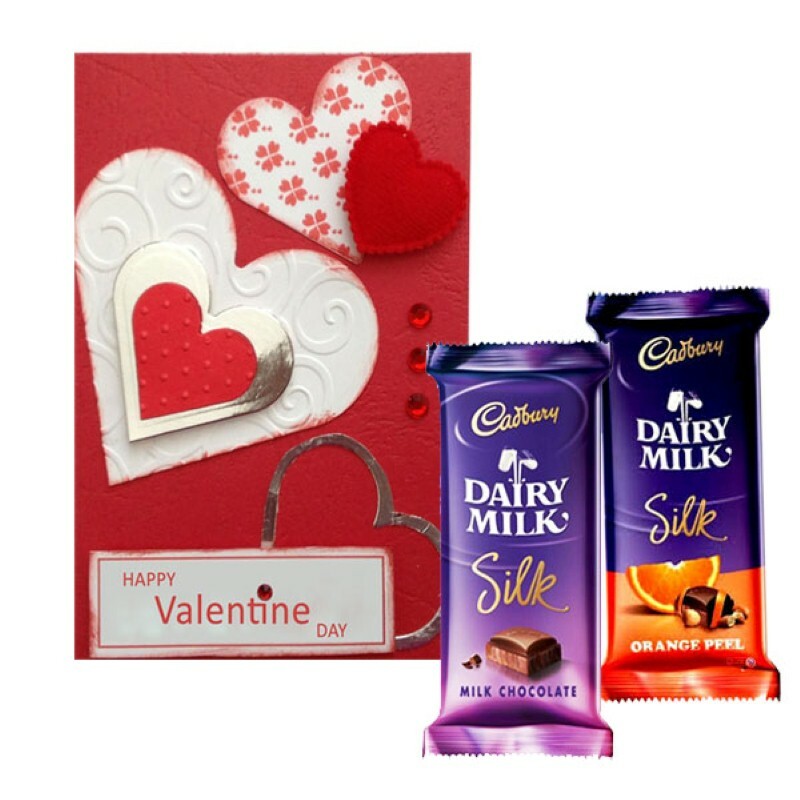 Product Includes : Valentine Greeting Card along with 2 Bars of Cadbury Dairy Milk Silk Chocolate (Weight : 60 Gms Each).